Occasional and moderate drinking can be part of a healthy lifestyle, but heavy alcohol consumption is associated with a variety of short-term and long-term problems. Alcohol can affect the health of your liver, brain, blood sugar, and believe it or not, your mouth. What most people don’t realize is just how much damage alcohol can do to your oral health. In this blog, we reveal the relationship between alcohol and oral health. We explain not only why gum disease and tooth decay are more prevalent among heavy drinkers, but also how even moderate drinking can put you at risk. The Centers for Disease Control and Prevention defines moderate alcohol consumption as one drink per day for women and no more than two drinks a day for men. This definition is intended to be limited to the amount of drinks consumed on a single day and is not intended as an average over several days. The one-drink equivalent is calculated as 14 grams (.6 fl oz) of pure alcohol. Alcohol dehydrates the body by inhibiting the production of a chemical called ADH, which regulates the amount of urine you excrete. Drinking alcohol actually causes your kidneys to expel more water than it would normally, causing dehydration throughout your body. It can cause atrophy of the salivary glands, thus decreasing your flow of saliva. That is why most people suffer some degree of dry mouth, scientifically known as xerostomia, after drinking. 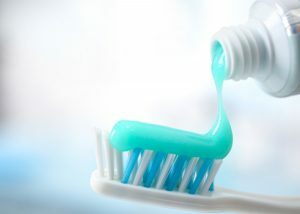 Dry mouth creates a perfect environment for periodontitis, a disease characterized by bleeding gums, plaque, gum recession, infection, and the development of pockets where the gums pull away from the teeth. Gum disease has been linked to higher incidences of cancer, diabetes, stroke, and heart disease. Regular alcohol users without periodontitis had more gum bleeding than non-drinkers. Alcohol users with existing periodontitis saw their condition worsen incrementally with frequency of consumption. Drinkers without gum disease had more plaque than non-drinkers. Alcohol users without gum disease presented pockets between their gums and teeth of 4 millimeters or larger more frequently than non drinkers. In sum, the study showed that even in people who do not have gum disease, alcohol consumption has a proportional and negative impact on gum health in a variety of ways. The negative effect of alcohol on oral health is not limited to the gums. People with an alcohol addiction are at real risk for oral health consequences. With higher levels of plaque, heavy drinkers are 3 times as likely to experience permanent tooth loss. 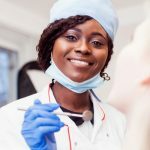 But even if you don’t have dependency on alcohol , it’s important to understand that the presence of alcohol in the mouth is a recipe for tooth decay. Dehydration decreases the saliva flow in your mouth, and therefore keeps bacteria from being naturally washed off of the enamel of your teeth. This process explains why high alcohol consumption is associated with the presence of plaque and higher incidences of tooth decay. If you’d like to enjoy a drink, we recommend minimizing the dehydration effect by sipping water in between to replenish the saliva in your mouth. The other reason why alcohol so often leads to decay is that alcohol metabolizes into sugar, which attracts bacteria. One way to counteract this process is to floss, brush, and use mouthwash after you drink alcohol (or any sugary beverage, for that matter). As consumers, it’s important to understand how alcohol interacts with your mouth so you can make educated choices about your oral health. 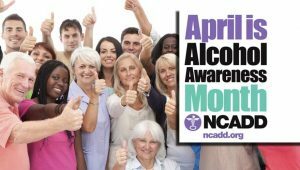 For April’s Alcohol Awareness Month, we wanted to highlight the relationship between alcohol and oral health because many of our patients simply don’t know about the powerful effects of alcohol on their teeth and gums. 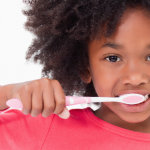 At Penn Dental Medicine, one of our goals is to educate patients about lifestyle issues related to oral health. We hope to empower them to make healthier decisions in their day-to-day life. 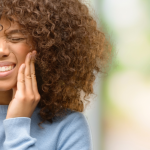 If you’re struggling with gum pain, bleeding, or suspect tooth decay, we can help. 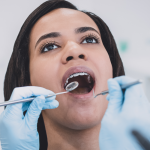 Make an appointment at Penn Dental Medicine to get a cleaning and consultation on how to keep your teeth in tip-top shape. Call us at 215-898-8965 or fill out our new patient form.